Celtic Cross Nursery – Childcare for babies, toddlers and preschoolers. Our Nursery Playrooms cater for children from birth - 5 years of age. We have our Duckling Room (0-2 years), our Robin Room (18 months-3 years), our Puffin Room (3-4 years) and our Owl Room (4-5 years). We also benefit from an extensive outdoor area. 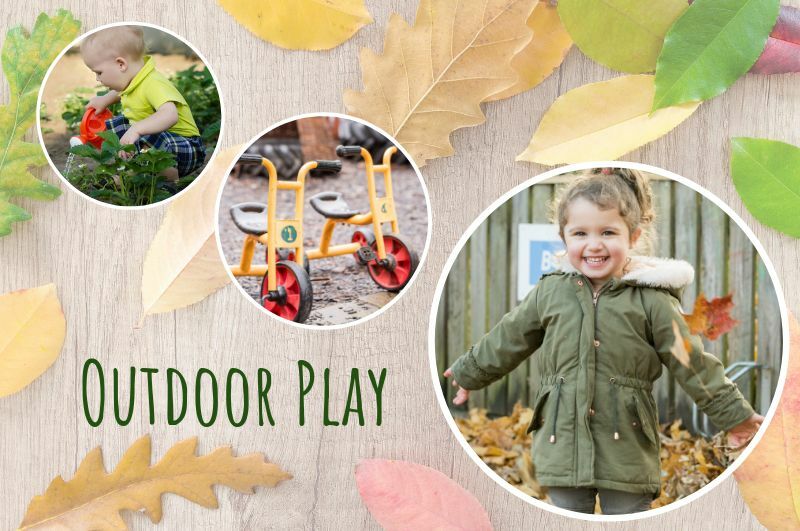 We love to get outside at Celtic Cross Nursery where we have three large outdoor areas, plus a fabulous forest area. These areas include a mud kitchen, astro-turf area, dens, and climbing frames. Our children make full use of their outdoor area as well as regular trips out in their local community. To keep up to date with our recent adventures, follow us on Facebook for more regular updates.